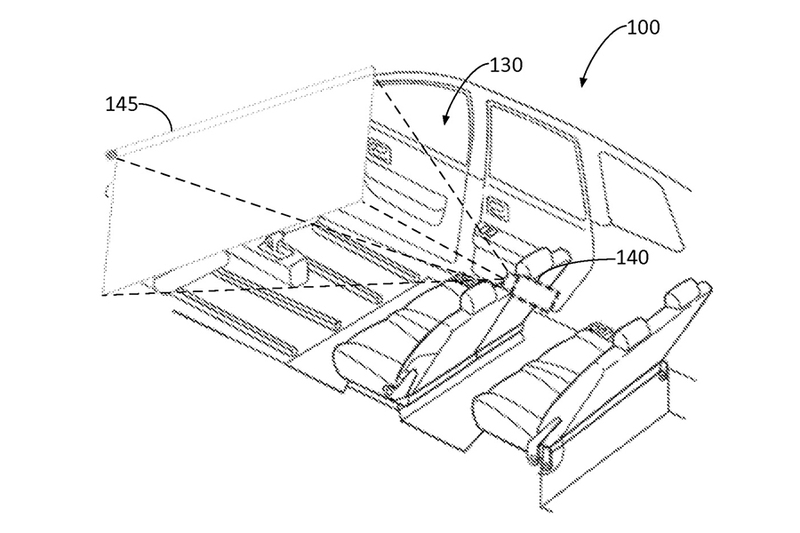 DEARBORN, Michigan – The Ford Motor Company recently obtained a new patent that describes the automaker’s plans to offer a cinema experience onboard of its autonomous vehicles. Projection screens completely covering car windshields would be possible when the car is in self-driving mode. Of course, the screen would automatically disappear if the driver switches to manual drive mode and a more conventional in-dash display would take over movie playback. When self-driving cars become a reality, the “autonomous vehicle entertainment system” could make Ford cars even more attractive. Imagine going on a road trip watching your favorite videos and movies while your car takes you wherever you need to go. The autonomous vehicle frontier is full of obstacles, though. Most of them are merely regulatory. It is uncertain whether Ford will actually turn this patent into a marketable product, given the risks involved if a driver is totally immersed in a movie and completely oblivious to what happens on the road. Ford’s patent does include a provision for an onboard computer so that the driver can monitor the autonomous driving sensors and retract the movie screen right away if the system senses the vehicle needs to switch to manual mode. For example, if a crash is imminent the driver must do his or her best to quickly get out of the fictional world to return to reality in the middle of a potentially deadly incident. Isn’t it scary? Think about going on a journey and being able to watch a fantastic James Bond movie but simultaneously keeping in mind that the autonomous system might fail and you would eventually have to take over to save your life. How much could you enjoy a cinema-like experience in such a risky condition? For this to work and get governmental approval, driverless car tech will have to reach a point where people can truly rely on it. Ford will have to ensure customers that they can watch a 2-hour film without worrying that their cars might suddenly rear-end a van or plow into a bus. The patent’s authors remark the difference between “passenger” and “driver”. When the screen is covering the car windshields, all people on board are described as passengers, while one of them becomes a driver only when the screen retracts. Hopefully, in all cases, there will be a driver only if one of the passengers wants to take over just because he or she wants to experience a manual mode ride and not because the system senses an imminent collision and the person is forced to get out of the fictional world to face a scary reality.